Sudan military vows to reform intelligence service amid protests Military concedes to some demands from protesters, removes defence minister and vows to restructure intelligence agency. Sudan‘s ruling military council has announced a raft of concessions aimed at appeasing protesters calling for a civilian-led transition to democracy following the overthrow of longtime ruler Omar al-Bashir. Shams Eldin Kabashi, a spokesman for the council, vowed on Sunday to restructure the widely feared National Intelligence and Security Service (NISS), a key demand from the political parties and movements behind the months-long protests that triggered Bashir’s removal by the armed forces. Activists accuse NISS forces of violently cracking down on protests as well as an ongoing sit-in outside the army headquarters, killing dozens of protesters and wounding hundreds more. Kabashi said the council has appointed Lieutenant General Abu Bakr Mustafa to head the NISS following the recent resignation of Salah Abdallah Mohamed Saleh, known as Salah Gosh. He also announced the removal of General Awad Ibn Auf from his post as defence minister. The general had initially assumed power, taking oath as the head of a military council that he said would rule the country for a two year-transitional period, but was forced to step down a day later in the face of mass protests for a civilian-led transitional administration. Ibn Auf was replaced by Lieutenant General Abdel Fattah al-Burhan, who pledged on Saturday to “uproot the regime” of al-Bashir, release detained protesters and hold talks with all political parties and groups behind the months-long protests. Hours later, a 10-member delegation representing the protesters delivered their demand to the council. They included an immediate handover of power to a civilian-led body, reforms to the NISS and release of protesters. On Sunday, the Sudanese Professionals Association (SPA), which spearheaded the protests, said they will keep up street demonstrations until a civilian transitional government, as outlined in the so-called Declaration of Freedom and Change signed by various political and professional groups in January, is formed. In a nine-point list of demands, the SPA also called for a freeze on the assets of top officials of al-Bashir’s government, dismissal of all top judges and prosecutors, and the arrest of al-Bashir, Gosh and Mohamed Atta, a former NISS head who was appointed as Sudan’s envoy to Washington last year. In his statement, Kabashi said Atta had been sacked from his post. Khartoum’s ambassador in Geneva had also been removed, he said, adding that all police officers arrested for participating in the protests would also be freed. The council will also form a committee to take over the assets of al-Bashir’s party, he added. Al Jazeera’s Hiba Morgan, reporting from the capital, Khartoum, said the military’s concessions amounted to “less than what some people wanted”. Reforming NISS, while significant, “was not the main issue standing between the two sides – the main issue was how will the military council operate under the transitional government,” said Morgan. 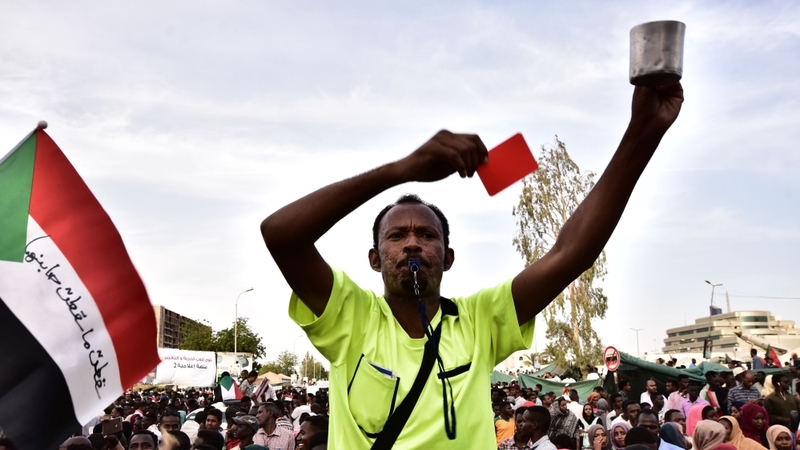 Protesters at the Khartoum sit-in, meanwhile, said the council’s reforms did not go far enough and called on the ruling body to hand over power immediately. “We will never leave this square, our only [means of] power to put pressure on this military council is our sit-in here, so we will continue until we achieve all our demands,” Randa Mohamed, 22, told Al Jazeera. Fellow demonstrator Mohamed Atia, 39, agreed. “We still need the power to be transferred to the civilians and [for] the dissolution of the ruling party and the militias of the ruling party [to take place],” Atia said. Earlier on Sunday, the military council met with some political parties in Khartoum and urged them to agree on an “independent figure” to lead Sudan as prime minister. The military wants to hold on to the interior and defence ministries in any transitional government, he said. 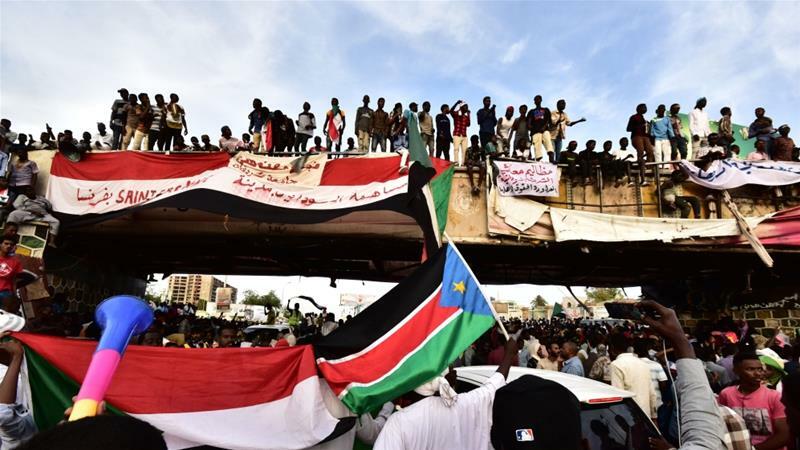 Sudan’s foreign ministry, meanwhile, urged the international community to back the country’s military council to help facilitate a “democratic transition”. Al-Burhan was “committed to having a complete civilian government and the role of the council will be to maintain the sovereignty of the country,” the ministry said, adding that he intended to prepare an environment for political parties and civil society to build themselves up “in order to have a peaceful transition of power”. On Sunday, Saudi Arabia and the United Arab Emirates issued statements in support of the transitional military council. Saudi Arabia said it “stands by the Sudanese people” and called on all Sudanese “to give priority to the national interest” of their country. The UAE called on the Sudanese “to work for protecting legitimacy and ensuring a peaceful transfer of power”.